Grandparents serve as wonderful role models for children. In addition to providing a family support network, grandparents help children learn and grow. Grandparents can play an active role in supporting children growing as readers and writers. Below you will find tips grandparents can use to support the young readers in their lives. Show your grandchild pictures and artifacts from when you were young. Talk about the pictures and tell him how your life was different from how his is now. If you have any toys or other objects from your childhood, share those too. Telling these interesting stories helps to build your grandchild’s language skills. Daily reading is an important part of a child’s reading development. Whether your grandchild is a beginning reader or an avid reader, you can take part in reading with her. When possible, spend time reading with your grandchild. If she lives too far away to read in person, read to her over a video call on the Internet or make an audiobook for her on your smartphone. If your grandchild is an older reader, connect with her by reading the same book she is reading and discussing it with her. Your local library offers a wealth of free resources for your grandchild. Help him sign up for a library card and show him the resources the local library has to offer. Click here to see how to get to know your library’s resources. Children need access to many different types of reading material. You can support your grandchild’s reading development by helping her build her reading collection. Giving books on gift giving occasions can help build her library. Garage sales and thrift stores are places you can find books at an affordable price. 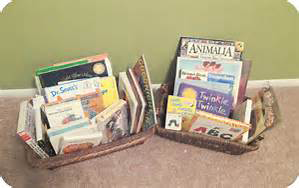 Your child’s collection should have a variety of fiction and non-fiction books. Help your grandchild improve his writing skills by becoming his pen pal. Share letters, emails, or notes to motivate him to write. Ask him questions about what is going on in his life and encourage him to write back. Children really enjoy receiving mail and will be excited to write back. 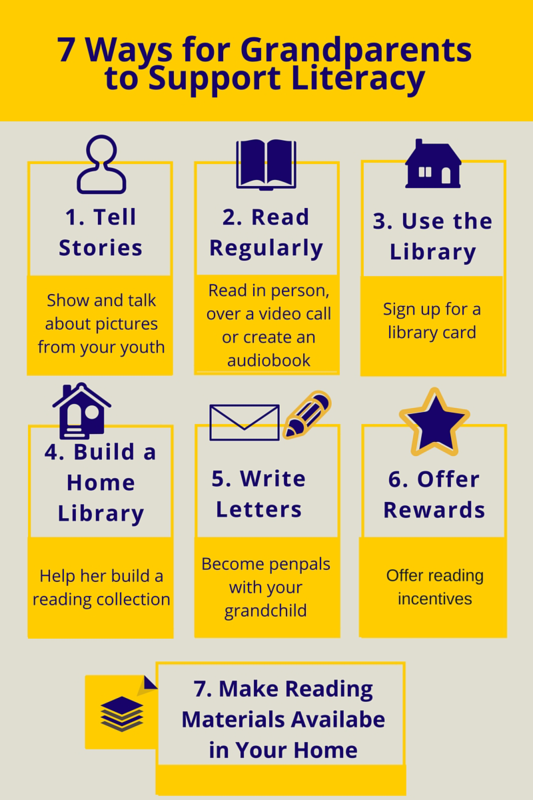 Just as libraries offer reading incentives during the summer, you can offer your grandchild a reward after she finishes a certain number of books. Help her keep track of her reading and offer a reward when she meets her goal. One incentive could be to watch the movie version of a book she has read. Another idea could be to take your grandchild to a museum or to see a play. Keep a collection of reading materials for when your grandchild visits your home. Children’s magazines are a fun way to encourage him to read. In addition, you can download e-books from your library on an electronic device, which would be fun to read for your grandchild. Also, you could collect books at garage sales or keep a stack of library books for your grandchild. You might even have books from when your own children were small. Your grandchild will enjoy reading books his own mom or dad read a long time ago. Grandparents can get involved in their grandchildren’s reading development. Whether they live in the same town or are separated by states, grandparents can offer great support to their grandchildren as young readers.